Come on by the restaurant where we will be selling a limited supply of soap from the Toukan factory packaged with an interview with factory owner Farouk Toukan. In June 2014 while touring the West Bank, Conflict Kitchen visited the historic Toukan Soap factory in Nablus (video above). 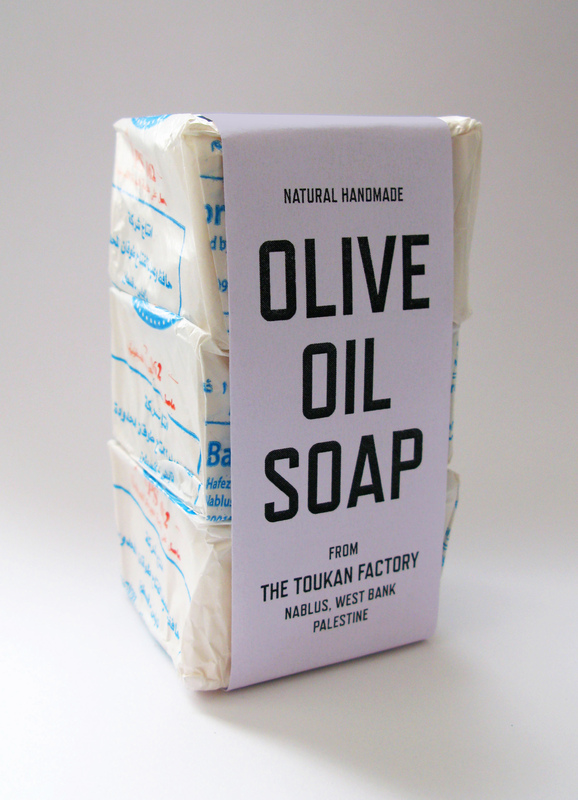 Since the 14th century, the Palestinian city of Nablus has been the historical center of the soap industry throughout the region. 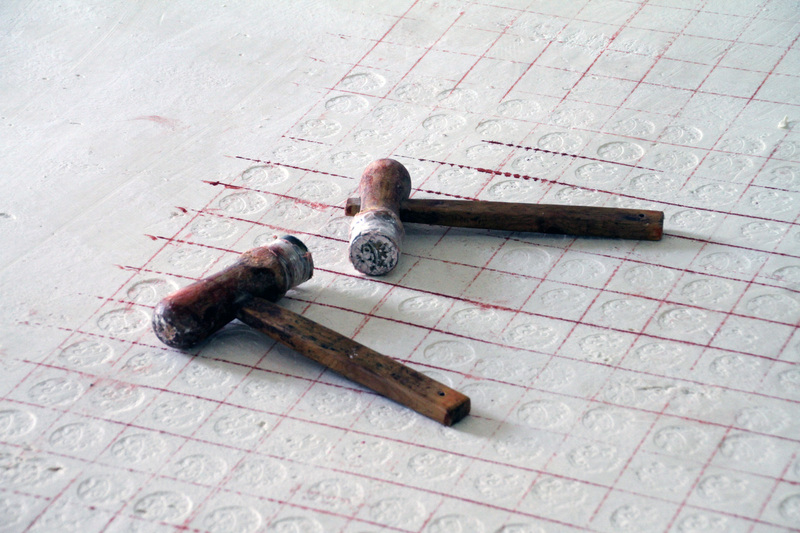 In 1907, the city’s thirty Nabulsi soap factories were supplying half the soap in Palestine. The industry declined during the mid-20th century following destruction caused by the 1927 earthquake and later from the ongoing Israeli military occupation. Now, only three soap factories survive. 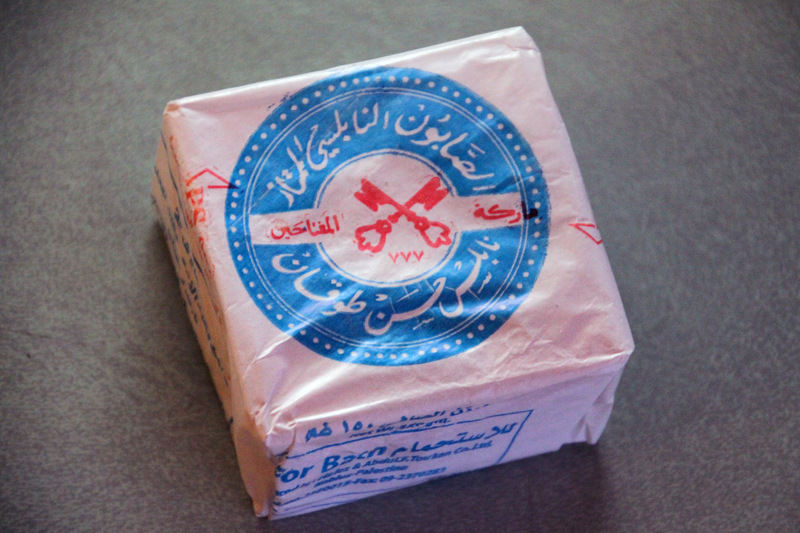 For over a century, the Toukan family, one of the oldest and most famous families in Nablus, has been one of the champions of the Nabulsi soap makers and is still today maintaining the traditional craft in its original form. The formula for the soap is strikingly simple – a combination of virgin olive oil, water, locally supplied lime, and a basic sodium compound made by mixing the powdered ashes of the barilla plant, which grows along the banks of the River Jordan.